The force driving Frederick II was his inexorable striving for fame. Although his renown as a military strategist was not the sole source of his repute, it became the most enduring cause for his fame. It gained Frederick outstanding esteem among the states of the Holy Roman Empire of the German Nation and catapulted Prussia through the three Silesian Wars into a rising Great Power. To this very day, the image of military strength finds expression in popular myth and mementos, far beyond any controversial political and military history debate. Dieter Seitz&apos;s artistic contribution focuses on play and two varieties of "soldier games". First of all, the artist creates an exact reproduction of Prussian battles led by Frederick II, using elaborate tin solders. Even though these minutely detailed reenactments of historical battles in dioramas depicting rural scenes never cease to convey an aura of cute images, the tin soldiers in Dieter Seitz&apos;s photographs seem uncannily human. Seitz&apos;s motif is not a bird&apos;s eye view of the strategic positioning of soldiers on the battlefield. Instead he focuses our gaze on individual actions. In two senses, he isolates the soldiers from the undefined masses and renders them actors. The photographic perspective of his close-ups is at the eye level of the observer, which intensifies the dynamics of the image. In his photographic series, Dieter Seitz proceeds to contrast the tin soldiers with modern-day men in uniforms of the Prussian infantry. 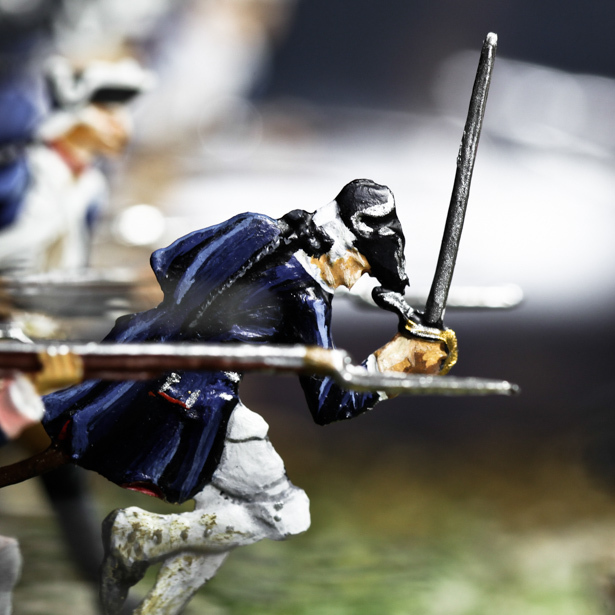 In this second wargame, fan clubs of Frederick the Great stage enthusiastic performances of Frederick&apos;s wars at the original battlefields. Every attempt is undertaken to make the reenactments as authentic as possible. However, the quirks of present-day technology such as wind farms cannot be eradicated from the background and give the photographs an unintentional irony. The serious wargame appears to be waged ad absurdum in the image. In spite of the visual crossfire of the modern age, the superficial authenticity of the production can, nevertheless, give additional insight into historical events. The playful reproduction in the form of method acting betrays just as much about the present day, about the yearnings and ideals of the contemporary actors as it does about the past.